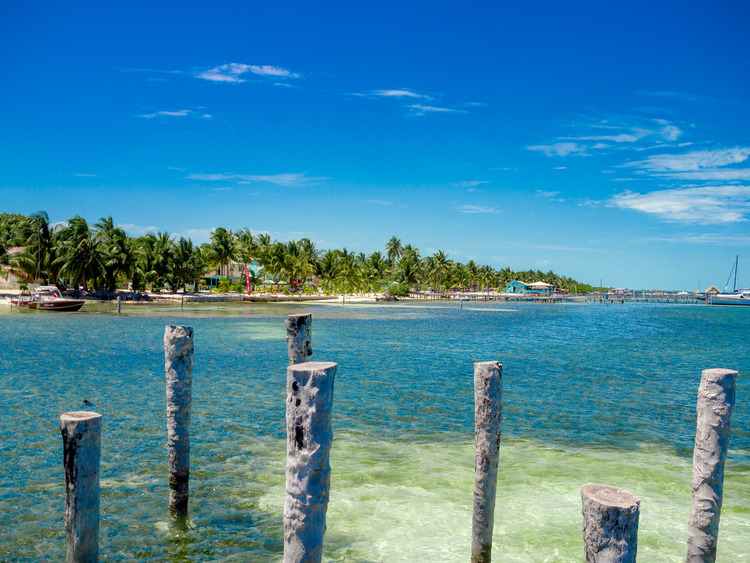 A day of sea, sun and relaxing on the enchanting island of Rendezvous Caye, a few metres away from the coral reef of Belize, the second largest in the world. After a 40 minute catamaran cruise, we reach the wonderful Rendezvous Caye Island, which is on the edge of the spectacular coral reef of Belize, the largest coral reef in the northern hemisphere. Declared a UNESCO World Heritage Site in 1996, it is second in size only to the Great Australian Barrier Reef. During our snorkeling expedition we see an enormous variety of underwater flora and fauna, coral formations and many brightly coloured fish. The water around Rendezvous Caye is shallow and therefore it is ideal also for those with little experience with fins mask and snorkel. The more experienced swimmers however, can go beyond the coral reef to behold a wonderful panorama that is reserved for the privileged few.After snorkeling, we can enjoy a little free time to relax on the beach, sunbathe and sip a drink. This excursion does not include a guide. Our instructors will provide information in English. Departure and return are directly from and to the ship. No stops are planned in Belize City. Guests on this excursion who wish to visit Belize City must check departure times and the duration times of the transfer from the ship to Belize City and back (approximately 15-20 minutes each way). We recommend bringing cash with you to make any purchases because not all stores accept credit cards.